I recently downloaded a few activities on the food chain for the kids but my kids were not impressed with them. They both did not like the fact that the food chains were represented in a linear manner and that they did not show the full cycle. The kids wanted it to include what happens to the dead animals. My oldest fetched a book we have – Staying alive – and started reading aloud extracts which supported their idea of a circular food chain (Very proud mummy moment). When a lion kills a zebra it does not eat all of the meat, the scavengers also eat some of the meat and afterwards the insects help with the final bits until it is finally absorbed into the soil and the minerals dissolve and ultimately help the plants grow. Also none of the food chains show what happens when the top predator dies – again there should be a scavenger and insects and the last bits decompose into the soil and act as fertilizer. So the kids used the images and each set out a food chain of their own. We decided that a paper plate would make a good base as the kids wanted to represent it as a full circle, they wanted to show that it is a never-ending cycle, once an animal dies it ultimately goes back into the soil and helps the plants grow. 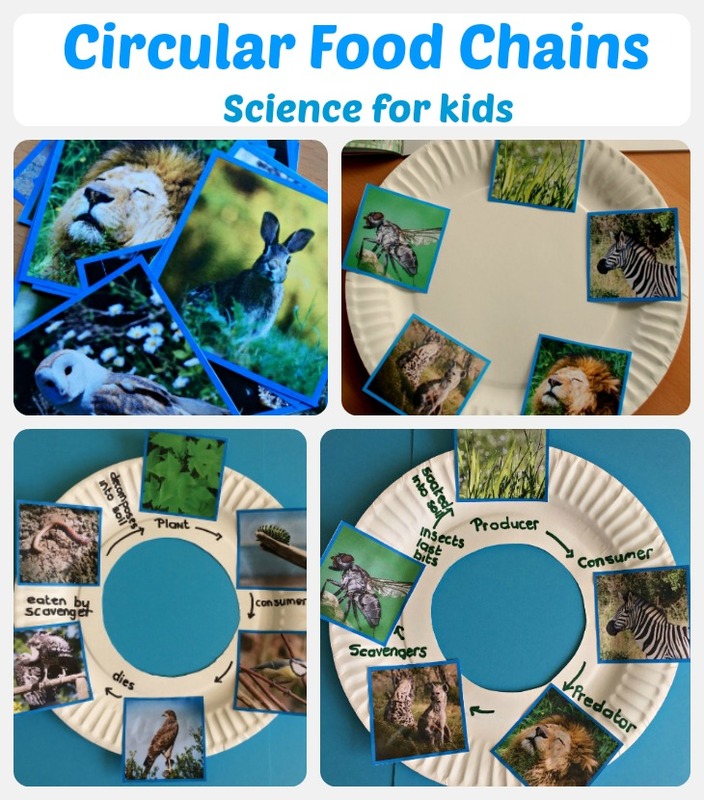 It is very quick and easy to make, nothing flash but it is the result of my kids thinking about a concept and not just accepting the initial food chain activity that I gave them. I love that they disagreed with the activity and were able to explain why they disagreed with it. This entry was posted in Homeschooling and tagged african animals, food chain, home education, homeschooling, science for kids, Twinkl. Bookmark the permalink.